Judges in Cuyahoga County held another meeting on Monday to talk about reforming the bail system, their first gathering since a withering U.S. Marshals Service report on the county jail. Local judges and other officials have been talking for years about changing the way bail is set, so that fewer defendants await trial from inside a jail cell. Judge John Russo, the administrative and presiding judge of the common pleas court, said the courts have hired a jail liaison to keep tabs on defendants who are locked up. The liaison will manage the court’s lists of defendants, making sure people aren’t lost in the system. Russo said the courts are also trying out setting personal bonds, which don’t require defendants to pay any money, for people charged with the lowest-level felonies. Judges can still set higher cash bonds if they think they’re needed. Cleveland Municipal Court is three months into a new pretrial services program, which is aimed at making sure defendants return for court. Defendants in the program await trial outside of jail, wearing GPS monitors or checking in periodically with staff at the nonprofit Oriana House, Administrative and Presiding Judge Michelle Earley said. After six months, Earley said, the court will release statistics on how defendants fared in the program. Judge K.J. Montgomery of Shaker Heights Municipal Court said the group should talk about how to make sure defendants make court dates and don’t reoffend while out on bond. Judges, attorneys and other court workers will take part in a training in February with the Pretrial Justice Institute, Russo said. The institute advocates for changes in the way courts handle defendants before trial, including by setting bail. Russo said he has been talking with PJI and the ACLU about a possible centralized system for evaluating defendants before trial. Although the agenda included time for public comment, no one from the general public attended. Rebecca Maurer, an attorney who has appeared on ideastream’s Cleveland Talks Serial podcast, arrived afterward to say the courts did not provide adequate notice about the meeting. 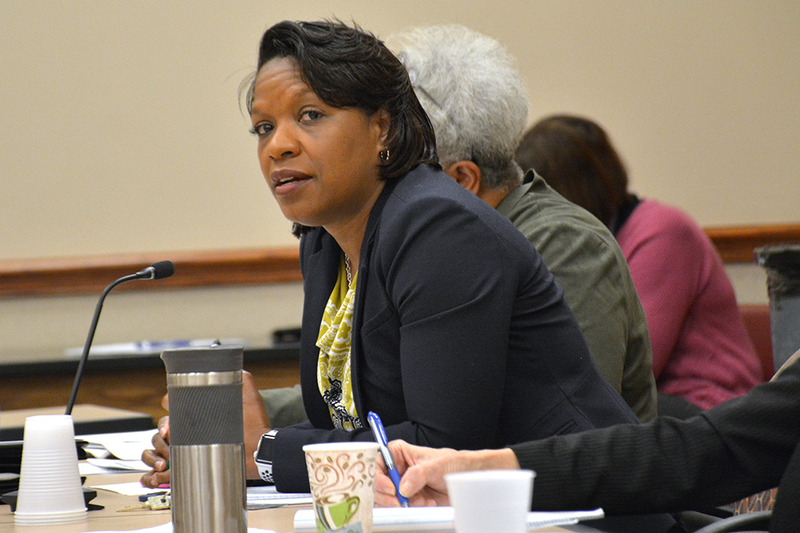 The next justice council meeting is scheduled for April 1.